A hypo-allergenic, dermo-calming shampoo that soothes the skin and effectively cleanses the coat. 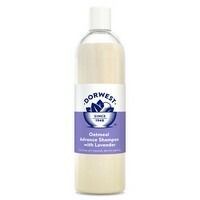 Incorporating natural active ingredients; colloidal oatmeal (2%) that helps to calm, soothe and nourish the skin, lavender oil and extract has antiseptic and healing properties whilst glycerine has moisturising properties, which in combination help to relieve and replenish dry and irritated skin. A pH of 7 ensures this shampoo works harmoniously with your pet’s skin to maintain its natural balance and help to retain the skin’s natural protective properties. Contains absolutely no SLS/SLES, artificial fragrances or colouring. 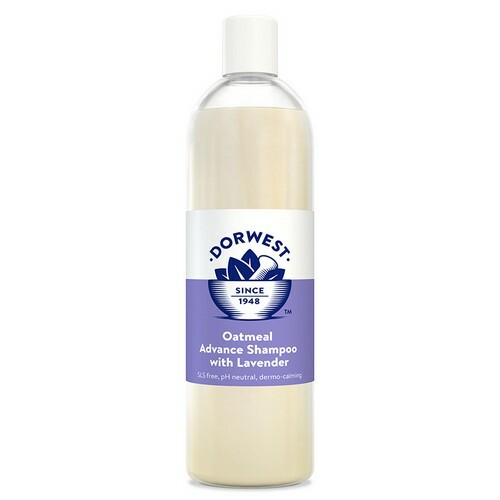 Oatmeal Advance Shampoo is suitable for all skin and coat types. Colloidal oatmeal (2%), glycerine, lavender oil, lavender extract.